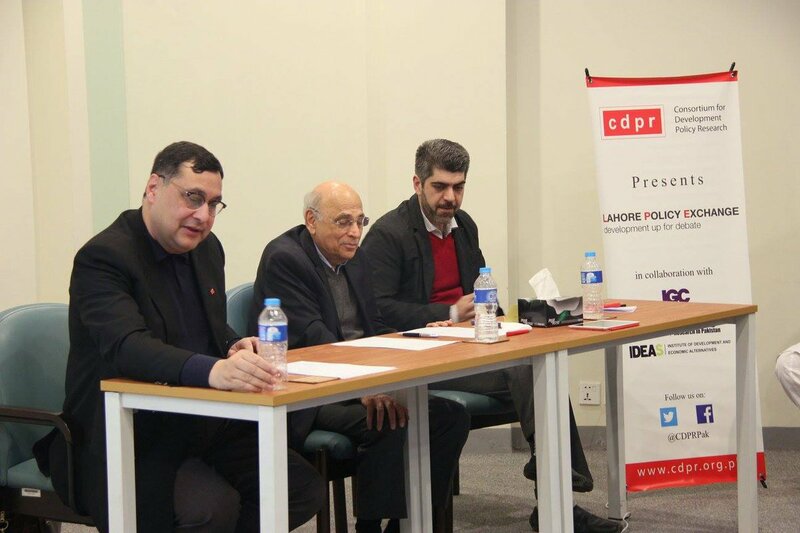 Team CTL recently attended Consortium for Development Policy Research’s Lahore Policy Exchange, “Climate Change and Sustainable Development” on 16th December, 2016. 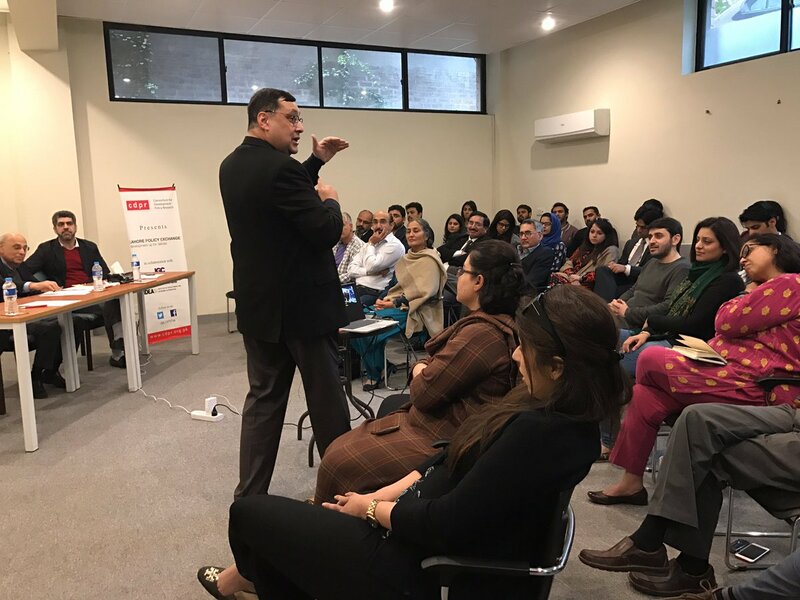 Speakers at the consortium included a renowned environment lawyer, Ahmad Rafay Alam and an eminent academic from Boston University, Dr Adil Najam. Dr Naved Hamid, CDPR Board Member, moderated the discussion and gave the opening and concluding remarks. Dr Adil’s interesting methodology of introducing difficult subjects helped members of the audience, who were themselves very educated and belonged to different sectors of society, in understanding the role and importance of today’s environmental issues and challenges. He explained how anyone from beyond planet earth would see the condition of earth today and why the planet had become a poor, divided, insecure, degraded, poorly governed, unsafe and, in short, a third world planet. He explained how we have reached the age of adaptation today and how matters cannot be settled from the mitigation perspective. A very interesting observation by Dr Adil was that between 1991 and 2012, 13,950 articles were published relating to global warming and only 24 of them rejected the phenomenon. He asked how anyone could therefore say that it was still a debatable issue. He explained how the issue was a negotiation failure, vulnerability failure and a moral failure. Ahmad Rafay Alam being a lawyer concentrated his discussion very eloquently on the legal, political, governance, commercial and regulatory aspects of environmental issues and climate change. He talked in length about a case that he brought to the High Court and about the roles of Pakistan Environmental Protection Agency (EPA) and the federal government, in light of how various rules of EPA were important. Moving on to the role of policy, Ahmad Rafay Alam spoke about international environment agreements (IEAs) and how section 32 of the Environment Protection Act 1997 allowed the power to amend the schedule. He further talked about the importance of Cartagena Protocol on Biosafety and explained genetic modified research and Pakistan Biosafety Rules 2005. With the above-mentioned laws, Conventions and Protocols in perspective, Ahmad Rafay Alam brought the audience’s attention to the problem of genetic modified crops in Pakistan. He explained how BT cotton seeds were started in Pakistan and what was their impact on the crops, farmers and national economy of Pakistan. Speaking about environment in light of the 18th Constitutional Amendment, Ahmad Rafay Alam explained how, with the removal of the concurrent list, the subject of environmental laws had come under the provinces, while the previous laws made by the federal government also stood effective unless amended or repealed. He said that this ‘gridlock’ between the provinces and federal government on environmental issues had resulted in parallel systems for such an important and already complicated issue. He also gave a reference to the case of Kissan Board vs Federation of Pakistan and the reply of the federal government in that regard. The speakers then took questions from the audience and replied with their usual academic and articulate expertise. a great initiative it was and all the team members deserved to be applauded.